Horizon in cooperation with a well known foreign Data Recovery Lab, offers the most convenient and cost-effective solution to clients who have experienced Data Loss. 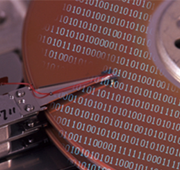 Data recovery is provided in every electronic, optical or magnetic media running on any Operating System. Data Confidentiality is safeguarded with written contract agreement.